Swan Plumbing, Heating & Air is proud to provide homeowners in Glendale and the surrounding areas with knowledgeable and reliable plumbing and HVAC services. Swan plumbing and HVAC technicians have more than four decades of combined experience and are licensed, bonded, and industry-certified. Our team is available seven days a week to handle any of your urgent heating and plumbing issues, and we back all services and installations with our 100 percent satisfaction guarantee. When you call Swan, you know that you will get prompt, same-day service. Our technician will give you an up-front estimate for your repair with no hourly charges or hidden fees. We believe that we have some of the best technicians in the business, and we stand behind each repair and installation that we perform. We do not consider the job finished until you are 100 percent satisfied. A reliable furnace or boiler is essential during long, harsh Colorado winters. Glendale residents look to Swan for prompt, reliable, and affordable heating repair and installation services. Our technicians will ensure that your home stays warm and cozy no matter how cold it gets outside. Our Glendale furnace technicians have years of industry experience and are able to quickly and accurately diagnose and repair furnace issues ranging from worn thermostats and motor belts to clogged filters and failed motors and thermocouples. You can schedule a service call by giving us a call or using our online request form. Routine maintenance can improve the operating efficiency of your heating system and is the best way to ensure that your furnace does not fail just when you need it most. That is why we advise Glendale residents to have their furnace serviced on an annual basis. Our HVAC professionals perform tune-up services on all of the most popular furnace makes and models. An annual tune-up allows small issues to be identified and corrected before they cause your system to malfunction. Our maintenance package includes inspecting, testing, and cleaning more than 20 of your furnace’s most critical operating and safety components. If your furnace more than 15 years old and is struggling to keep your house warm, making unusual noises, or has failed multiple times in the past couple of years, it is time to consider having us install a replacement system. A Swan HVAC technician can help you select a high-efficiency furnace for your Glendale home that can save you up to 15 percent on your heating costs. Swan plumbing professionals are trained and equipped to handle your plumbing issues no matter how big or small. From bathroom and kitchen plumbing to whole home re-piping, we can help. 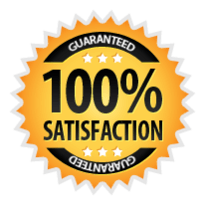 All of our plumbing services are backed by our 100% satisfaction guarantee. When you have a home plumbing issue, you need a reliable service company to get your home back up and running as soon as possible. We offer affordable services for all of the most common home plumbing problems, including leaking sinks and faucets, garbage disposal repairs and installations, clogged drains, re-piping, and drain cleaning. Call us or use our convenient online form to schedule a service call. A clogged drain or sewer line can quickly become a major inconvenience and pose a serious health hazard to your family. We offer some of the most affordable prices for drain and sewer line cleaning in the Glendale area. Our highly-trained and professional technicians will ensure that your drain or sewer line issue is fixed right the first time. Most homeowners do not give their water heaters much thought until they are suddenly left showering in cold water. Our water heater repair specialists are able to repair any make or model water heater, including conventional, tankless, gas, electric, and solar. A sump pump is the first line of defense against basement flooding and water damage. If you have experienced basement flooding in the past, Swan can help you protect your home from future water damage by installing an affordable, high-quality sump pump. We are also available for emergency sump pump repairs. Glendale residents know that they can keep cool on even the hottest summer day with our reliable and affordable air conditioning maintenance, repair, and installation services. Today’s high-efficiency air conditioners are designed to provide years of reliable service; however, every AC system will eventually require some type of repair. Our HVAC professionals are able to tackle a wide range of common AC issues, including low refrigerant levels and refrigerant leaks, frozen cells, damaged compressors, sensor problems, ductwork leaks, drainage issues, and electronic control malfunctions. The average lifespan for a central air conditioner is 15 to 20 years. The following are indications that it is time to consider replacing your air conditioner: your AC system is more than 10 years old, your AC requires frequent repairs, your AC no longer keeps your home comfortable, your AC is excessively noisy. Our Glendale AC technicians can help you choose a new high-efficiency cooling system that will keep your family comfortable and save you up to 20 percent on your utility costs.